include Lectra, EFI Optitex and Thermore®. 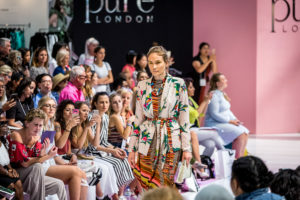 Taking place alongside Pure London at London Olympia from the 10th – 12th February, Pure Origin will also launch its own dedicated ‘Trend’ catwalk show spotlighting innovations and new materials featuring complete outfits and fabrics for AW21 and SS22. Offering a visual platform, the catwalk will showcase the latest trends for sourcing, sustainability and manufacturing including fabric, raw materials, apparel, footwear and accessories. Thermore® will also present an outerwear collection in collaboration with GUESS made from recycled plastic bottles. With a 45-year history, Lectra aims to optimise business models and resources while implementing transformational change. Social and economic changes have transformed the way fashion is designed, developed, produced and consumed. To keep up with ever-changing challenges, expanding markets and to build a better product, companies need to adapt how they work. Customers want personalisation, but the standard supply chain doesn’t have the flexibility to keep up with demand. Mastering the fashion lifecycle from design to production is critical to leveraging reativity, streamlining time to market and controlling costs; elements necessary to building a better product and being competitive. Lectra’s fashion and apparel solutions help companies enhance their value chain and develop better collections with expertise based on best-practice methods and technologies. EFI Optitex is a world leading provider of integrated 2D/3D software platforms. As fashion trends change and the pace to market quickens, EFI Optitex is committed to empowering businesses to stay on the leading edge of technology. This includes innovation, full lifecycle customer support, and a passionate belief that inspiration is everywhere. Well proven in the market, EFI Optitex’s 2D & 3D CAD/CAM solutions are having a huge impact on the way brands work today and are transforming the way fashion will be purchased tomorrow. opportunities, new thinking and innovation. Garment and fabric suppliers, denim and textile designers and technology brands attract buyers, sourcing, and technical personnel from the likes of Asos, White Stuff, Victoria Beckham, River Island, JD Sports, Marks & Spencer and Selfridges. from the integration between sustainability and speed-to-market, supply chain transparency, fabric and technological innovation will be addressed. – 12th February 2019. 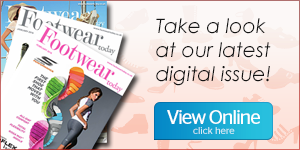 Visit www.purelondon.com for further information and more highlights from the latest show.